A view over the top, Just a few Grandfather clocks? A partial view: one of our three showrooms. 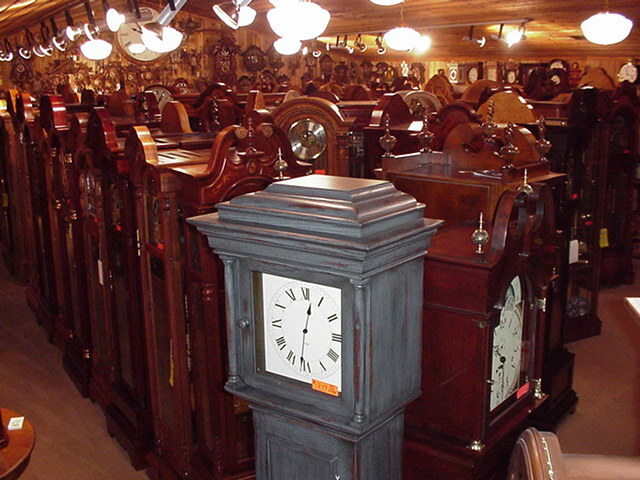 Over 160 Different Grandfather clocks.